“I don’t think you should live in India, go and live somewhere else,” Kohli told him in a video recording. He was responding to messages during the launch of his mobile app on Monday. The video went viral and has prompted a torrent of criticism against Kohli on social media. The 30-year-old cricketer has been hailed as the greatest batsmen in the world and is often touted as India’s cricket megastar since national legend Sachin Tendulkar retired in 2013. In the video, Kohli is seen reading out a message from a cricket fan who described him as an “over rated batsman”. He also said he enjoyed watching batsmen from English and Australian teams rather than the current Indian team. “Why are you living in our country and loving other countries? I don’t mind you not liking me, but I don’t think you should live in our country and like other things,” Kohli said in his response. He added that the fan should get his “priorities straight”. 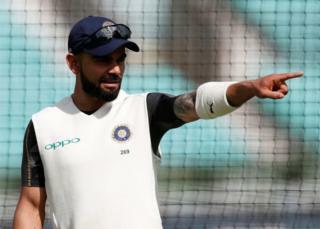 Social media users were quick to call out Kohli over his remarks – and many referred to past instances in which he had praised sportspeople of other nationalities. Harsha Bhogle, a prominent cricket commentator and journalist, also weighed in on the controversy. Some others mocked Kohli’s response. This isn’t the first time Kohli has been in the spotlight for controversial statements. In 2016, when India’s federal government cancelled 86% of the country’s currency, Kohli called it the “greatest move” he has ever encountered in politics. The remark sparked criticism because the surprise decision had disrupted the lives of millions of Indians. 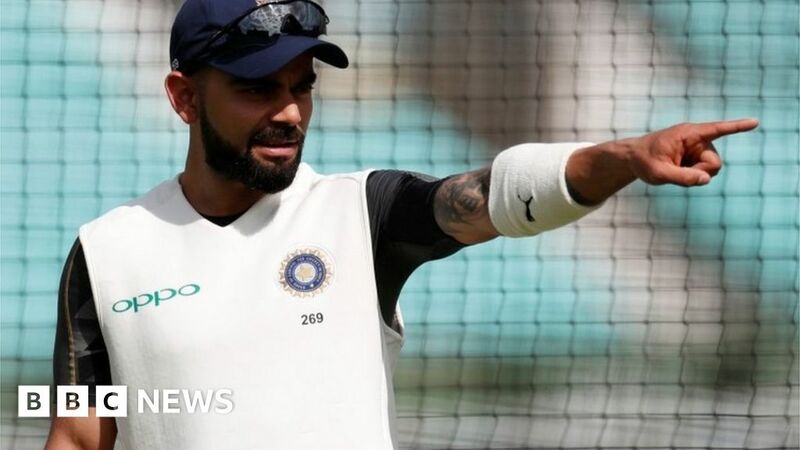 Writing about Kohli’s latest comments, Times of India journalist Dwaipayan Dutta wonders if the cricket captain is “losing perspective” off the field.